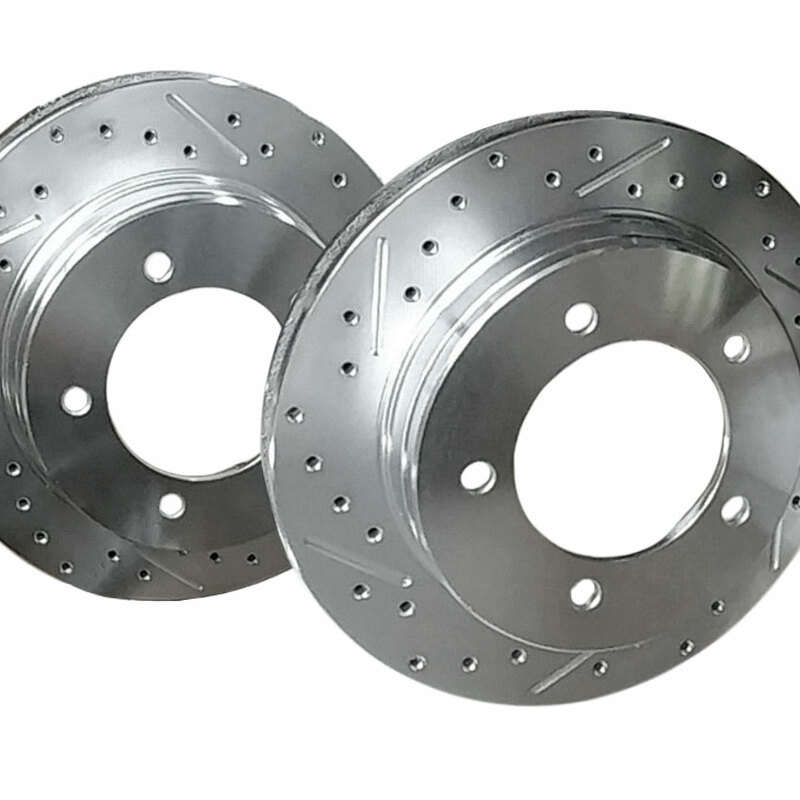 New Slotted and Drilled Rear Disc Brake Rotors for Bronco's equipped w/ a GM Style Rear Disc Brake Conversion Kit. This is a high quality rotor, custom drilled to factory 5 x 5.5 bolt pattern. They are cross drilled and slotted to reduce heat buildup when braking, improving the braking performance of your rear disc brakes.